When we heard about a gaming site which is said to be the home of bingo cash back, then we at Mobile Bingo Bonuses had to check them out, so let us introduce you to Gravy Train Bingo. 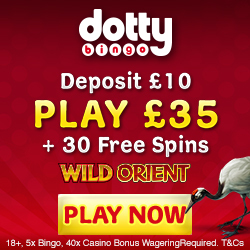 With their great choice of games such as bingo, casino, scratch cards and slots including house hold names such as Kitten Ball and Monkey Business. What makes this site even better is the fact that it’s available on your smart phone including Android and iPhone, plus Tablet devices meaning you can play when and wherever you like! The fact that you can game anywhere means those boring chores or commutes just got that little bit more interesting and hopefully rewarding…interested? As a welcome from Gravy Train Bingo you’ll receive £15 bonus credit with no deposit required. Joining is really simple and the extra credit gives you the opportunity to try out the site and its many games before spending any of your own money. Basically if you deposit the minimum amount each time you’ll walk away with an extra £90 making a grand total of £120, impressive right! 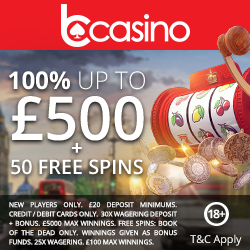 Even when the newbie bonuses are over and you’re a Gravy Train Bingo regular, you can take advantage of their 20% deposit bonus every single week. All you have to do is add a minimum of £25 to be able to claim this amazing bonus. If you prefer to bank with cash then you can take advantage of their deposit special where you could receive up to 100% cash back bonus each month, depending on the amount you deposit. Gravy Train Bingo offer a number of jackpot prizes on a daily, weekly and monthly basis with a chance to win between £250 and £1,000 cash. They even offer chat rooms with amazing games where you could win cash prizes and meet fellow roomies. We’re sure that with so many great bonuses you’ll be eager to tell your gaming friends about Gravy Train Bingo, so why not earn a little bonus for it. For each person referred who deposits you’ll receive a £10 Amazon voucher, so the more friends you have the merrier you’ll be! If you’re a social butterfly then make sure you visit the Gravy Train Bingos Facebook and Twitter pages to keep up on the latest promotions and games. At the point you register and play with Gravy Train Bingo you’ll join their loyalty programme, where to earn points is as simple as playing. There is 4 tiers in the scheme which are silver, gold, VIP and SVIP member, with each level offering bigger and better bonuses. Gravy Train Bingo accept the usual banking methods including Credit and Debit cards, U Kash, Neteller and Paysafe Card. So if you’re ready to take advantage of these great offers simply head to Gravy Train Bingo.